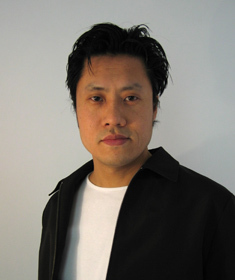 Sean Yoo is an American designer who was born in 1968 and grew up in Los Angeles, California. He received a degree in Urban Planning at California State Polytechnic University and worked as a city planner for one of the largest city in Southern California. After several years, however, he decided to change direction and pursue a career in design. He returned to school and in 2000 graduated from Art Center College of Design in Pasadena, California with a degree in Industrial Design. He began as a staff designer for Round Three design studio in Pasadena and in 2001 decided to start his own design studio, Apt 5 Design, with Angela Tarasco. His works have been featured in many major design publications including 2003 and 2004 International Design Yearbooks and he has won numerous awards for his furniture designs including First Place in the “Concorso Young and Design 2002” presented at the Salone Internazionale del Mobile in Milan. He is currently living in Matera, Italy and is working for clients such as Frighetto Industrie, Jongform and Calia Italia.